Unheimiches Totenkopf in Rose - Temporary Tattoo. Mitternacht Schädel in Rosen Tattoo mit vielen Tribal Elementen. Malos rosas medianoche del cráneo del tatuaje temporal. 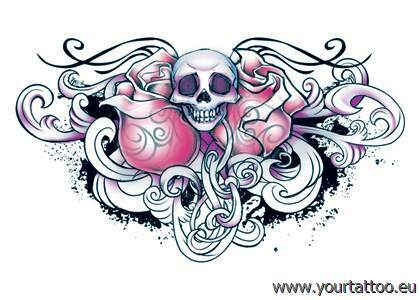 Wicked Midnight Skull Roses Temporary Tattoo.